I was getting increasingly upset during the consultation with my patient. She had already done four IVF cycles, all of which had failed, and she didn't have a clue as to what was done during any of the cycles. She didn't know how many follicles she had grown; how many eggs the doctor had retrieved; and how many embryos had been transferred. She didn't have details about her medications, or even a treatment summary. She was an educated, intelligent patient, and I asked her - Why didn't you ask your doctor these basic questions? Why don't you have a record of your treatment ? Where are the photographs of your embryos? Her answer was a plaintive - The doctor never gave me anything. They keep all the details in the clinic itself, and claim that this is their policy . They said that you won't understand any of the technical minutiae because you are not a doctor, so why are you asking for any records ? You need to learn to trust us and not doubt us - we are good doctors , and have a high success rate. You won' t understand any of these medical details, so don't waste your time doing searches on the internet. Just go home and relax and pray, and leave all the medical details to us. I could understand her willingness to do everything the doctor said in her first cycle, because she didn't know any better. But to stick to the same doctor and not ask for any details after 4 failed cycles was carrying things a bit too far. It's good to be a compliant patient, but this doesn't mean that you don't speak up at all. Her justification was that's it's not a tradition in India to question the doctor .
" We've been taught that the doctor knows best , and he will do whatever is needed. We shouldn't interfere, because a little knowledge can be dangerous, and we shouldn't be trying to play doctor. Therefore we just blindly did whatever he told us , because that's the best way to get results - to obey the doctor blindly and unquestioningly. In fact, if we ask questions, the doctor gets irritated , and we don't want to upset the doctor because we want to be treated well , and we want him to think of us as being good patients." It's true that many doctors discourage questions. They want to increase their through-put and prefer patients who do as they are told. They don't like their authority being challenged, and feel threatened by an empowered patient. They can get quite nasty when the patient wants her doubts resolved. For example, some will say - " Who's the doctor in this room - you or me ? If you trust Dr Google, then why don't you go to him for treatment ? " Patients also underestimate their own intelligence. They feel that medicine is so complex that they won't understand anything in any case, so why ask questions when the answers will go over their head ? They also feel guilty if they take too much of the doctor's time, because they can see how busy he is. Now, I think it's important that you trust your doctor, but you trust your milkman as well, but that doesn't mean that you don't count the number of milk bottles which he delivers daily ! There's too much at stake when medical treatment is involved . In any process where the outcome is uncertain ( as is true of IVF) you need to be actively involved. You don't need to implement it yourself, but you do need to understand it well enough , so that you can make sure that the proper process is being followed, and that the doctor is not taking shortcuts. This is why good doctors will encourage questions, and answer them proactively - for example , by having FAQs on their websites. They treat their patients as intelligent partners , and will invest time, energy and resources to make sure they are well-informed. This is in every one's best interests, because then patients have realistic expectations, and understand what the likely outcomes are going to be, so they can cope better with the uncertainty inherent in any medical treatment. Need answers to your IVF questions ? Need help in getting pregnant ? Please send me your medical details by filling in the form at www.drmalpani.com/free-second-opinion so that I can guide you ! The recent proposal by the government of India to pass a surrogacy bill which bans commercial surrogacy has raised lots of hackles. Rather than allow this to become a highly polarised debate which just creates more heat rather than sheds light, let's first start the discussion with the areas on which everyone agrees, and then move on to what the areas of disagreement are , so we can see how we can bridge the gap. I think everyone agrees that surrogacy needs to be regulated. Calling India the surrogacy capital of the world is hardly very complimentary. Effectively, we are saying that simply because poor Indian women are willing to be surrogates at a fraction of the cost at which women in other parts of the world are, everyone should come to India for surrogacy treatment because this is much more cost effective for them. While this may make a lot of business sense, there's nothing to be proud about this - it's a bit like tom-tomming the fact that we're the diabetes capital of the world ! Let's look at why the government felt the need to regulate surrogacy in the first place? After all, the number of surrogacy cases which is done in the whole country is less than 10000 per year, which is really a small number . Given that there are so many other much larger health issues which affect Indians, is it sensible for a government with limited resources to waste so much money on regulating such a tiny problem. Can we afford to make a mountain out of a molehill ? The reality is that the government has been forced to step in because the medical profession has failed to regulate itself. The definition of a profession is that society grants professionals certain special privileges , and in turn expects that they will hold all their members to a minimum standard. This means the profession has the right as well as the responsibility to regulate itself. This means that the leaders of the profession have the duty of pulling up and policing members who do not follow accepted guidelines , so that they cannot abuse the privileges which they have been granted by virtue of being a professional. Unfortunately , this doesn't seem to happen in the medical profession in India today. Thus, when an IVF doctor takes advantage of the fact that there is no law or regulation , and performs completely unacceptable treatments because he is not barred from doing so by the law, and other doctors ( who are his peers and are meant to keep each other in check) keep quiet and do nothing about this, then how can the government continue to remain a silent bystander ? This abuse of professional privilege by unethical doctors can ham patients. Why do doctors keep quiet, even when they squirm internally when they see other doctors doing what is patently wrong ? This is partly because they feel it's not their job to police other doctors , and partly because doctors don't want to say anything bad in public about another doctor ( even though they may be quite happy to bad-mouth each other in private) - after all, if you live in a glass house , you don't want to throw stones at others. The malafide actions of a few bad doctors attracts so much bad press, that the good work done by good doctors gets completely overshadowed. It's we doctors who are to blame for this sad state of affairs, because we keep quiet when some of our own colleagues do things which are completely unacceptable. We are now paying the price for our silence. The government quite rightly concludes that if we can't regulate ourselves , then they will have to step in and control the few bad elements amongst us. Unfortunately , the problem is that government regulation is heavy handed and clumsy, and often ends up throwing the baby with the bathwater, which is exactly what's happened in this case. They've proposed a solution which extremely complex and expensive , because this all the government machinery allows them to do - after all, if you have a hammer, all you see are nails ! If you look at the tiny numbers of surrogacy cases being done today, in the big picture this issue is extremely unimportant from the overall health perspective of this country . We have far more pressing and urgent issues which the health ministry should be addressing . This distraction is going to come at a huge cost, because funds and resources which should go to setting up new primary health care centers gets diverted into policing surrogacy. The health ministry has better and more important things to do, and the return on investment in taking this punitive approach is very poor. This is the big problem with the legislation - that most laws are punitive. They're not progressive or permissive , unlike the other constructive initiatives taken by the government - for example, giving all citizens an Aadhaar Card . This is what has upset so many doctors. We feel the government keeps on and telling us what we can and what we cannot do. Our professional autonomy is being progressively eroded, and all of us are being treated as potential criminals. While regulation may be needed for controlling bad doctors , good doctors take offence when they are subjected to it, and many will treat this as a personal affront. I have also been very disappointed with the quality of the medical reporting. There is one key issue which all reporters seem to have overlooked. Let's look at the draft ART bill ( which was also supposed to regulate surrogacy ), and which has been on the ICMR website for more than 10 years now. ( You can download it from http://icmr.nic.in/guide/ART%20REGULATION%20Draft%20Bill1.pdf ) It was crafted and fine-tuned after inviting public debate and inputs from lots of specialties. This draft clearly allows only commercial surrogacy , and also has a format for the legal contracts which the surrogate and the intended parents have to sign before they can start surrogacy treatment . This was the stance of the Government of India for many years, and these were the guidelines which good IVF clinics were voluntarily following when doing surrogacy . In a few months , why has the government taken a complete u-turn and decided to completely ban commercial surrogacy ? Who made this change , and why did they make it? There's been a complete lack of transparency and this upsets everyone. Many healthcare activists have criticised the bill because they feel it encroaches on a citizen's personal autonomy. They believe it is unfair because it takes away the right of citizens to choose their reproductive destinies. Their claim is that the government should not behave like a nanny state by interfering in such personal and private matters . It should allow people the freedom to decide for themselves , and if a single man decides to have a baby through surrogacy , and if the surrogate is willing to carry the pregnancy for him for the sake of money, they should be allowed to do so . The problem is that it's not so simple. Intended parents are rich, while the surrogates are poor, and because IVF doctors make a lot of money by doing the surrogacy treatment, the incentives can be quite perverse. When such large sums of money are involved, there are likely to be unscrupulous doctors and other middlemen who will take advantage of the situation, and exploit these women. We do need to protect them before the matter gets out of hand. It's all very well to speak about the surrogate's right to choose , but we cannot ignore the fact that some unscrupulous doctors are making a quick buck by doing surrogacy for infertile couples who don't need it, only in order to maximise their revenue. We have to accept this bitter truth - that not all doctors are upright and ethical. 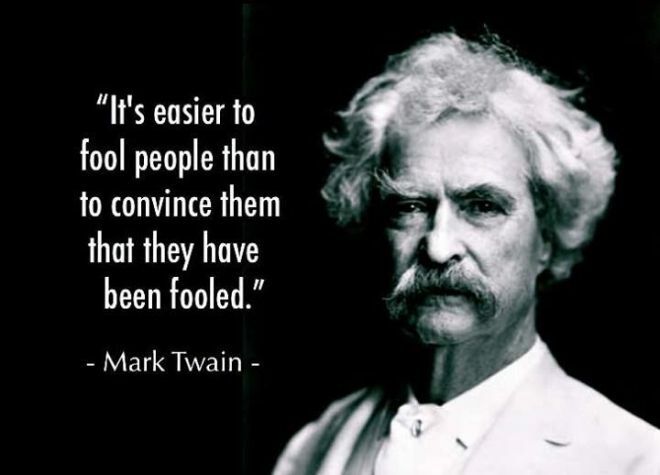 If we refuse to do so, the government is justified in saying that doctors are living in a fool's paradise by pretending that all doctors are upright and honest; and that all surrogates are well-informed and capable of deciding for themselves. 1. 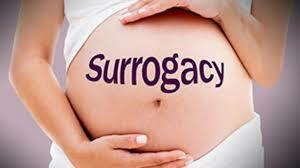 Commercial surrogacy is not bad, commercialization of surrogacy is. 2. Exploitative practices need to be penalised, not ethical practices. 3.Regulation is important, prohibition fails. 4. A rights based approach is best way to go with adequate checks and balances. We should work together to achieve a win-win, and I think we can do this if doctors and the government trust and respect each other, and not take a confrontational approach. Most doctors are getting increasingly upset about the large number of rules, laws and regulations which the government is passing in order to control what they are allowed to do. Most of these are punitive laws, which impose penalties on doctors, and many doctors resent being treated as potential criminals who need to be policed. The reality is that the government has been forced to step in because the medical profession has failed to regulate itself. Society grants professionals such as lawyers and doctors certain special privileges , and in turn expects that they will hold all their members to a minimum standard. This means the profession has the right as well as the responsibility to regulate itself. The leaders of the profession have the duty of pulling up members who do not follow accepted guidelines , so that they cannot abuse the privileges which they have been granted by virtue of being a professional. Unfortunately , this doesn't seem to happen in the medical profession in India today. We have abdicated our responsibility of regulating the few bad apples we have in our profession. We continue to allow them to get away with egregious malpractices, and when these are highlighted by the media, the government cannot afford to continue turning a blind eye to these, and is compelled to take action. Unfortunately , the problem is that government regulation is heavy handed and clumsy, because all it can do is punish offenders - and when you have a hammer in your hand, all you see are nails. Sadly, we are to blame, because have abdicated our responsibility of regulating ourselves. Our apex body , which is empowered by the government to regulate medical professionals , the Medical Council of India , has itself been plagued with corruption, and is not trusted or respected by doctors themselves. Doctors have been extremely myopic. Most good doctors are so busy taking care of their patients that they don't have the time or energy to contest medical council elections. This means that these elections are often power plays which are usually won by politically active doctors , who have a lot of spare time because they don't have many patients. They are resentful of their more successful colleagues, and will often try to pull them down once they achieve positions of power. Even worse, because they don't have a thriving clinical practice, they are much more vulnerable to being lured by the bribes provided by the influential politicians who run private medical colleges . They are happy to do "inspections" and grant them recognition, even though they are poorly equipped and understaffed, and provide sub-standard medical education. Patient experience has become a hot topic today, and hospital managers understand the importance of improving patient satisfaction. One of the things they do is collect patient feedback forms routinely , so that they can act on the complaints they receive, and fix problems. This is all well and good , but the trouble is that most patients and family members don't bother to provide feedback - and the quality of the feedback they give is poor. This is true for many reasons. Firstly, while the patient is in hospital, they're scared to criticise the medical staff, because they don't want them to get upset . They are worried that negative comments will mean that their patient will be neglected. This usually means that by the time they're ready for discharge (which is when they are asked to fill up the feedback form) they've often forgotten a lot of the things which they were unhappy about. This is why most of the issues which bother patients never come to management's attention. Also, the trouble with feedback forms is that they are structured very poorly. They allow very little spontaneity on the part of the user. This is one of the reasons that most of these forms serve only a cosmetic purpose - they are primarily designed to allow the management to show that they listen to the patient's voice. They fail to do what they are meant to, because they are filled in very cursorily , which is why most of these forms are filed and forgotten. A much bigger disadvantage of the present system is that a lot of useful patient suggestions never reach the ears of the hospital management, which means that a lot of simple fixes never get implemented. 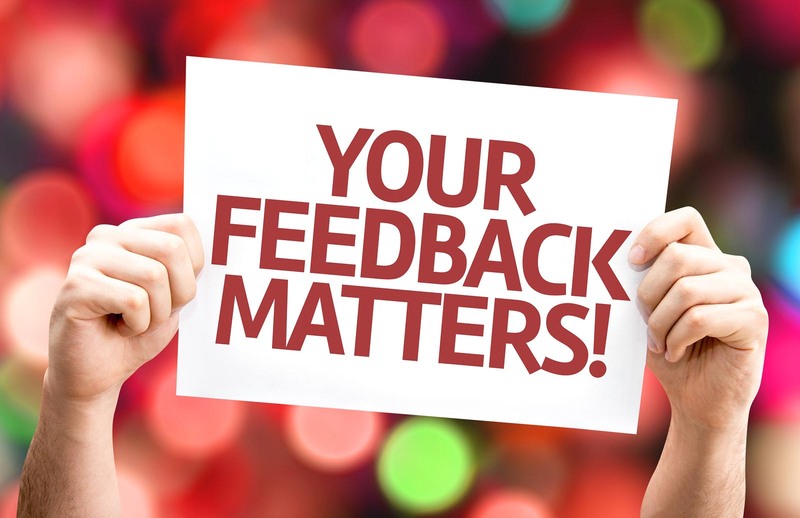 This is why feedback should be collected on an ongoing basis, and patients and their family members should be encouraged to offer suggestions and register their complaints right throughout their hospital stay , rather than only at discharge. A simple solution would be to display a dedicated mobile number throughout the hospital, to which all visitors could send feedback through WhatsApp . Thus, they could take a photo of a dirty bathroom; or attach a voice message as to what problems they are facing, in their own local language. This would empower patients to complain, because this is best done when they are actively having to tackle the problem. This would be a great way of signalling to patients that the management respects their opinion, and that their voice is important. With this simple technique, the amount of feedback received would improve dramatically. The number of suggestions offered to fix the problems would also improve, because the patient now has a way of offering their perspective at the point at which they perceive the pain. Will the management get swamped by complaints ? I don't think so - and even if they do, this means they have lots of issues to address, and it's far better to do this proactively, rather than allowing problems to fester. The WhatsApp number would be owned by a Patient Relationship Manager, whose job would be to analyse the complaints regularly , and convert these into actionable items. Patients could be incentivized to provide solutions, by offering prizes for the best fixes. 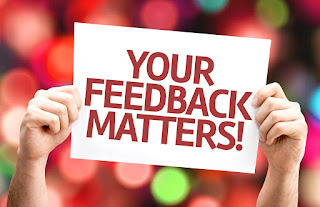 Patients are happy to provide feedback, if we learn to ask them for this on their terms. Paper feedback form are obsolete . We need to use technology cleverly to encourage patients to provide high quality feedback much more easily. If we do so, they will be much more inclined to offer helpful solutions. Finally, because staff members now know that patients can easily report bad behaviour to management, they are much more likely to treat patients well, and this is good for everyone ! 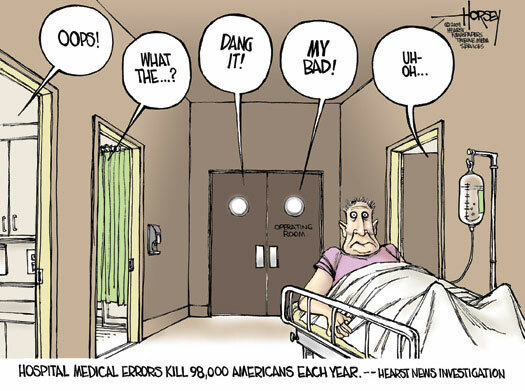 Medical errors can be a nightmare - both for patients, and for doctors. However, this is one of those topics which we prefer to sweep under the carpet, because it can be so emotionally charged. 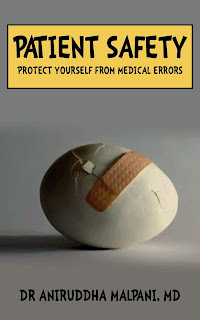 This is the first book from India on this important topic, and provides a holistic overview of medical errors from multiple perspectives. Doctors, nurses, pharmacists, other healthcare providers, pharmaceutical companies, insurers and patients all need to work together to promote patient safety. Please do send me feedback so we can improve it ! The latest issue of Human Reproduction, the world's most reputed journal on assisted reproductive technology, has an article by Dr Gayathree Murugappan and colleagues from Stanford and Seattle , which shows that preimplantation genetic screening (PGS) does not improve live birth rates as compared to expectant management ( = do nothing) in patients with recurrent pregnancy loss (RPL). Not only does PGS not improve their chances of conceiving, it also does not help them to conceive any quicker. For these patients, masterly inactivity ( = reassurance) is the best option. However, as the authors point out, " counseling patients with unexplained RPL to pursue expectant management presents several challenges. These couples often feel an urgency to conceive , and expectant management can feel like a passive and time-consuming approach to conception. In addition, patients often carry a significant amount of guilt and grief in association with miscarriage. Attempting spontaneous conception can feel emotionally vulnerable; despite reassurance of good prognosis, patients doubt that a subsequent pregnancy will be successful ." This is why IVF clinics have been promoting preimplantation genetic screening (PGS) for treating patients with RPL with the goal of increasing live birth rates. It's also very profitable for the IVF clinic to offer this high-tech treatment option. However, the truth is that this does not help, as proven by this research study. We did a total of 30 transfers, and 20 patients got pregnant. Two caveats. These are small numbers, which means it's hard to extrapolate these to the entire year ; also, these are pregnancy rates, and not live birth rates. All the donor egg cycles were with frozen eggs, which were thawed, and then the fresh embryos transferred to the recipient. 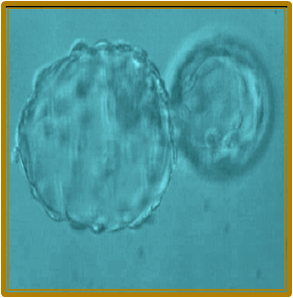 All the embryo transfers are Day 5 blastocysts; and we never transfer more than 2 blastocysts. 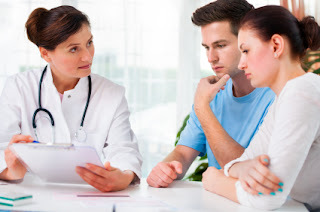 It can often be very confusing for a patient to make decisions about their embryo transfer. For example, how many embryos should you transfer ? Do you transfer in a fresh cycle or in a frozen cycle ? Do you transfer on day 3 or a day 5. Here are some rules of thumb which I have found helpful. 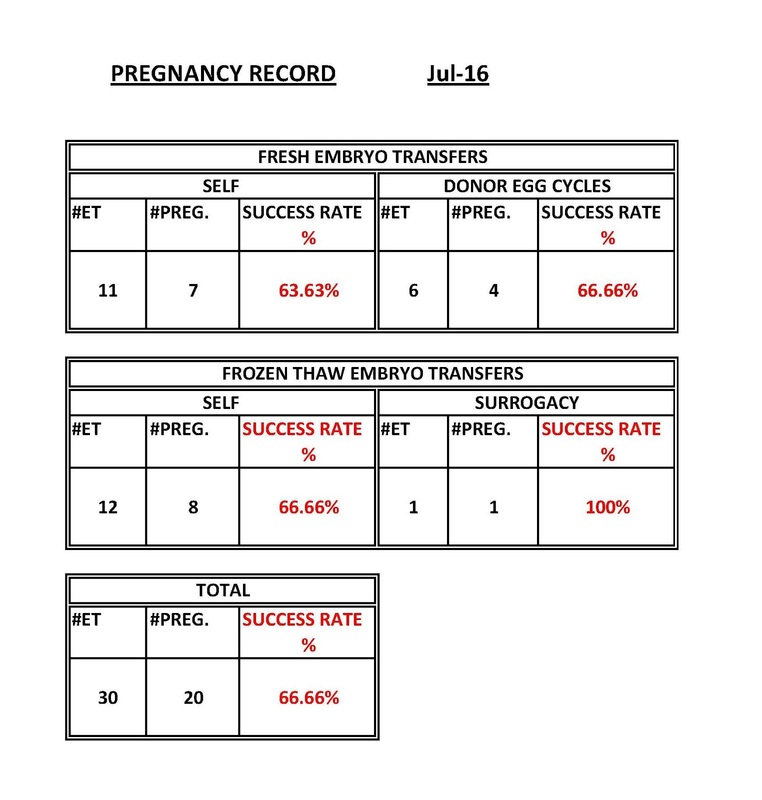 For one thing, the pregnancy rates with day 5 embryos are definitely better than with day 3. That's pretty much a no-brainer. You should optimally opt for a clinic which routinely does day 5 transfers. As far as how many embryos to transfer, I think one is the perfect number. 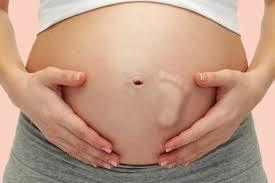 If it implants, it gives you a singleton pregnancy , which has the lowest risk of pregnancy complications. Two is fine too, specially if you don't have any babies, and you're getting fed up and frustrated, because the chance of getting pregnant with two blastocysts is definitely better than with one. Even if you end up with twins, the pregnancy can be managed well with good obstetric care. For lots of infertile couples, twins are a bonus because they now have an instant family . Many are happy that their kids will have a sibling , and they don't have to go through an IVF cycle again. Let's look at a patient who on day 5 has one blastocyst and one morula. She now actually has a surprising number of options which she didn't in the past, when we would be forced to go ahead and transfer whatever embryos we had, as we didn't want to waste any precious embryos. Here are some of the options we can offer her. We can still transfer both the embryos. Some people worry about transferring a morula on day 5, but they need to understand that just because the morula is growing slowly, doesn't mean that if it implants, the baby will be abnormal. It just means that the probability of a morula implanting is lesser than that of a blastocyst. However, if it does implant, the baby will be completely healthy. Also, the morula will not interfere with the blastocyst implantation, because each of these are in separate shells ( zonae) . They don't interact or affect one another, so you don't need to worry about reducing your chances just because you're transferring a slow growing embryo. The other option is that we could freeze all her embryos , and then transfer in a frozen cycle, after thawing them and culturing them for 24 hours in vitro before the transfer. This has now become our preferred option, specially for patients who live in India, because the pregnancy rates with frozen embryos are much better than with fresh transfers. Of course, patients need to factor in the additional cost ; the inconvenience ; and the fact that it takes more time because they need to come back again for the transfer. The other option we could offer her was to transfer the fresh blast and freeze the morula after waiting to see if it becomes a blastocyst on day 6. If it does, then this way she has her cake and can eat it too. The good news is because we are a full-service clinic with a full-time expert embryologist, we can offer lots of choices to our patients in order to maximise their chances of success. We have the flexibility and the resources to be able to customise and personalise our treatment, according their needs. This sometimes leaves patients confused, but it's always better to have options ! I think your book is terrific in so many ways. You took on, and met, the challenge of writing simultaneously for a dual audience of physicians and other healthcare professionals as well as patients, families, and the lay public. Your simply, clearly, and poignantly addressed key issues, starting with the basics of patient safety, medical errors, and quality care and expanding from there to current concerns such as digital health. What impressed me even more than your excellent content, suggestions, and links to resources is your voice — starting with the candid telling of your story about “The night I nearly killed my patient” and concluding with the many ways you and others have since worked to improve patient care and safety. Your book is an engaging, important, and easy to follow reference that professionals and patients everywhere can learn from. Thanks for doing all you do and writing about it so well. You can read the book free at www.safetyforpatients.in ! 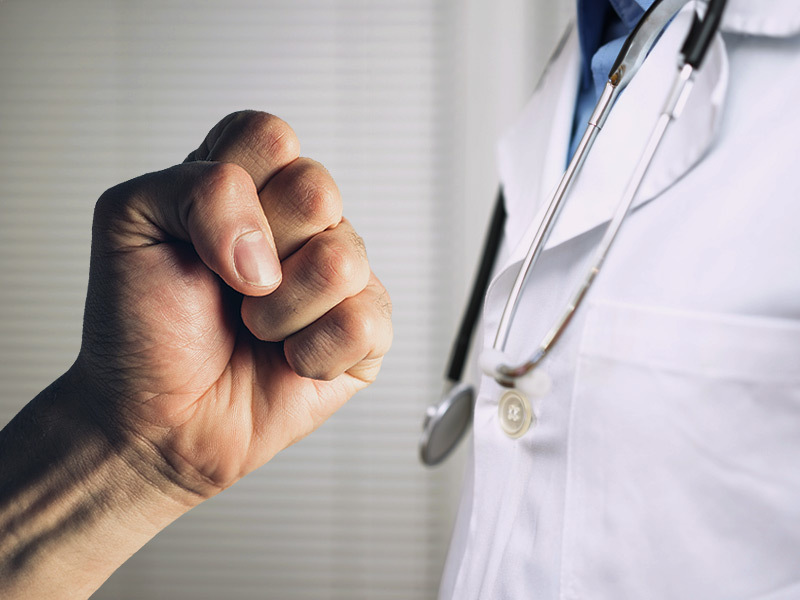 There seems to be an epidemic of violence against doctors, and this has become a negative, vicious cycle. Doctors are actually scared of patients , and many are not willing to treat emergencies any more, because they don't want to be at the receiving end of the relative's ire in case the patient dies. They're now demanding security and protection because there have been so many incidents of angry and irate relatives beating up doctors for no fault of theirs. These video clips are going viral and they rouse a lot of ill-feelings in doctors who feel vulnerable and threatened. This makes the problem even worse, because they start behaving in ways which are not very patient-friendly . They start treating every patient as a potential adversary who may beat them up, as a result of which the fragile relationship between doctor and patient is off to a rocky start, because neither trusts the other. Getting more security guards is not a good solution. It's only a temporary band-aid measure, because it doesn't address the underlying problem - it just camouflages it. Let's think about why relatives beat up doctors. This happens when something goes wrong - when the relatives and friends feel that the reason for the patient's death was negligence on the part of the doctor. They believe that the doctor didn't bother to examine the patient , or didn't give the patient right medication at the right time. Now this perception could be completely false, but the reason it continues to fester is because doctors don't take the time and trouble to explain to patients what's happening. Relatives are often left in the dark, which is why they get angry and resentful, and their anger erupts when their patient takes a turn for the worse. Doctors are the easiest scapegoat to vent their frustration and unhappiness on, and they lose their head and best them up. Now, I'm not saying doctors are blameless either, but I think trying to pinpoint blame is part of the reason why we got into this mess in the first place. While it's true that doctors can improve their communication skills and can learn to be empathetic, it's also true that they can't prevent all the deaths and that patients will die no matter how good the care they get. This is why it's very important that we now establish two-way open communication between patients, their relatives and doctors so that everyone has realistic expectations and that patients and the relatives learn to understand that, even if things don't go well, it's not always the doctor who is at fault or who is to blame. 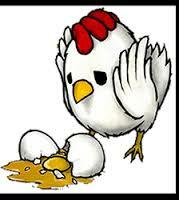 A poor outcome doesn't mean the doctor made a mistake or the doctor goofed or the doctor was careless or negligent. 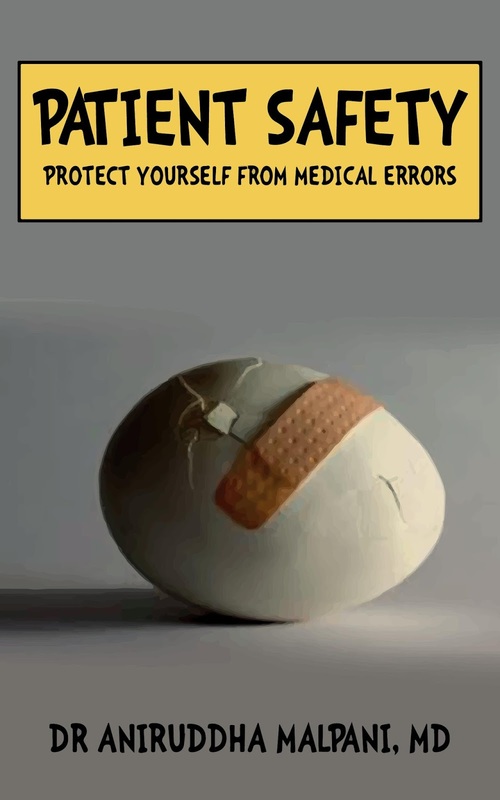 I think this misperception causes a lot of problems, and this is one of the reasons why we have written a new book called Patient Safety- How to Protect yourself from Medical Errors. The book is online at www.safetyforpatients.in. This is the first Indian book on this important topic, and it addresses both doctors and patients, because we cannot work in silos if we want to improve patient safety. The book emphasizes the fact that not all bad medical outcomes are a result of bad doctors; that bad things do happen to patients no matter what doctors do; and that both doctors and patients need to work together so they have realistic expectations and can bridge the communication gap. We need to strengthen the doctor-patient relationship before things get progressively worse and patients lose all faith in doctors. The kidney transplant case at Hiranandani hospital has grabbed all the headlines , and the media is now having a field day at the doctor's expense. If you are getting a sense of deja vu, this is because this story has a predictable course. In order to understand why this happens repeatedly, we need to look at some background. In order to prevent racketeering in kidney donation, , the government passed a law. This was done with the best of intentions, but it's not in a position to implement it, because the law is crafted by people sitting in ivory towers, and has no connection with ground reality. The rules look great on paper, but are onerous and difficult to comply with. Law-abiding hospitals and doctors try to do their best to conform to them, in order to improve the quality of life with patients with kidney failure to lead a better life. Doctors start doing these procedures routinely , and most of them go off smoothly, so that everyone is happy. However, when problems with one patient surfaces, everyone whips themselves up into a state of righteous indignation. They then go through all the clauses in the Act with a fine-tooth comb, and point out one or two rules which were breached, usually inadvertently. Because of the way the Act has been drafted, I can pretty much guarantee that you will be able to find this is true of practically each and every transplant carried out in the country. The rules are impossible to comply with, because they were laid down by people who have no idea what happens in real life. They are safely ensconced in their ivory towers , and don't have any understanding about the living hell which the patient with kidney failure goes through. Doctors, on the other hand, want to do their best to help their patients lead a better quality of life, and they go out of their way to help them. Then , when a complaint surfaces, it the same doctors who are taken to task. It's very easy to make doctors the scapegoats, because they're the ones who actually do the procedures. What's heartbreaking is how readily everyone is willing to assume the worst about these doctors - that they are crooked , and are the scheming masterminds who have plotted a con in order to get rich at the donor's expense. The reality is that the protection which is supposed to be provided to the donor by a government authorized committee is what was at fault in this case. Interestingly, the government official on the committee , who is supposed to be an objective third party, is nowhere to be found. Even worse, the conmen who actually organized the scam are missing because they were let out on bail ! The police have very conveniently locked up the only people who are easily available - the doctors, who are usually innocent victims. They have successfully managed to ruin the doctor's reputation , as well as the hospitals. What people fail to realize is the amount of damage this is going to cause to other kidney failure patients. Every doctor is now going to say "Why should I stick my neck out? It's the kidney patient's problem, not mine." Most sensible doctors will just stop doing kidney transplants - after all, why risk a jail sentence in order to help a patient ? There are lots of other operations they can do ! Also, the compliance paperwork which would earlier take a month will now end up taking a year, because no hospital will want to take a chance that they have breached a rule. They will make sure that every i has been dotted and every t has been crossed, in order to protect themselves. 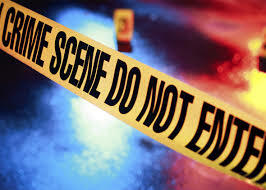 The government is great at creating lots of red tape, and they will generate lots more, in order to prevent a similar incident from recurring. A huge problem is that doctors fail to stand up for each other. The poor doctors who have been locked up in jail are too scared to talk . They don't have a voice, and their family members are also scared . Sadly, their patients will not support them, and the press is very good at distorting the story . They will highlight the 1 or 2 deficiencies and discrepancies, without pointing out that of the 100 rules which have been laid down, 99 have been complied with properly, which clearly goes to show that there was no intent to commit fraud , as far as the doctors were concerned. I honestly don't understand how it is in the doctor's best interest to commit a fraud, because they get paid for doing the surgical procedure . The middleman who forges papers in order to con the kidney donor who is the one who should be taken to task, along with the government official whose job it is to verify all the documents. The government should accept responsibility that they have failed all the patients with kidney failure. They have created laws which are impossible to implement, and then when they find that the laws are broken, rather than punish the person who's broken the laws, they end up punishing the doctors who are soft targets. This episode has crushed the morale of many doctors , who're already quite fed up and frustrated. Unfortunately , they don't have a united voice and they continue to be the favourite whipping boys for the press, because they are soft and helpless targets. BIBOX Projects - sparking innovation in school children in India with hands-on tinkering ! I am an angel investor in Bibox. You can see why I am so proud of them ! Our clinic is moving from doing fresh embryo transfers to doing frozen embryo transfers routinely. We find that the pregnancy rates are much better , and this could be because we can prepare the endometrium optimally in a frozen cycle , so that it's more receptive , and implantation rates are higher. When we do a fresh cycle, we sometimes need to compromise on endometrial receptivity because our focus is on getting good quality eggs. While the two often go hand in hand, sometimes they're not well synchronized , which means we may need to sacrifice endometrial receptivity in order to collect good quality eggs . This means that even though we get good blastocysts, the pregnancy rate might not be high because the endometrium is not receptive. Doing a freeze-thaw cycle helps us to overcome this problem. 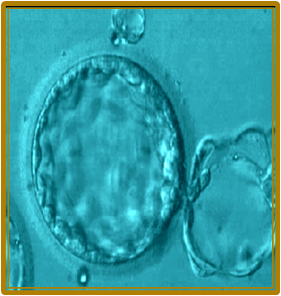 We typically grow embryos to blastocysts in the fresh cycle, and we only freeze good quality blastocysts by vitrifying them . We will transfer these in a frozen-thaw cycle , where we can focus purely on preparing the endometrium for implantation. The survival rates in our clinic after thawing vitrified blastocysts are a hundred percent. which means patients now have the benefits of both the best quality embryos , as well as an optimally receptive endometrium. With the best of both worlds, our pregnancy rates are much higher. A little tweak we've introduced is to thaw the embryos twenty-four hours before the transfer. This is very helpful , because it allows us to make sure that the embryos continue to grow well even after the thaw. Patients can also see for themselves that their embryo is alive , because many sometimes worry that freezing will either kill the embryo , or that a frozen embryo won't be as good as a fresh embryo. Seeing that their embryos have continued to grow in-vitro after the thaw is very reassuring. A picture is worth a 1000 words ! This is especially true when we freeze collapsed blastocysts. These don't look very good when we thaw them , because they are just a clump of cells. 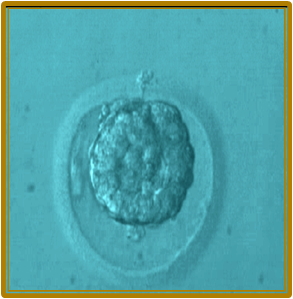 However, when we incubate them for 24 hours after thawing , many will form an expanded blastocyst, which can be very reassuring for both the patient and for us. This is now our preferred treatment protocol. who's a duffer who was at the bottom of his class in medical college , but who camouflages his incompetence with a great bed side manner ? This is why they are forced take technical competence for granted . They assume that anyone who has passed his medical examinations and has been certified by the Medical Council to be let loose on an unsuspecting public and start medical practice must be as good as any other doctor . This is why patients are forced to use the following markers to judge which doctor to select for their treatment. 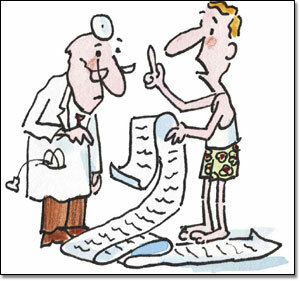 For lots of patients, the goodness of a doctor is directly proportional to the size of his bill. They know that better quality stuff is more expensive, which is why they believe that costly doctors must be better than the others. They naively conclude that doctors who charge more must be superior and that those who charge less mustn't be as good. They believe that the skills of a doctor is proportional to the number of tests he orders . Their reasoning is simple - the number of tests he orders is an index of how thorough he is . By doing more tests , he is able to probe more deeply into what your exact problem is , and get to the root cause. They believe that good doctors make the right diagnosis by ordering more tests. Similarly, a doctor who orders lots of expensive medicines is presumably a better doctor . After all, the medicines must be more expensive because they are the newest , and have been developed using the most advanced technology based on the fanciest state of the art research . This is in contrast to the old-fashioned doctor , who only prescribes older medicines, presumably because he doesn't know any better, and has not kept up with the latest advances. If there are a large number of patients who are waiting to see the doctor , and you have to join the queue, this means he must be a top doctor. If he doesn't make you wait , it's logical to assume he doesn't have many patients to see and this means he mustn't be very good . If he attracts lots of high profile celebrity patients, he must be the best - after all, they must have done their due diligence before selecting him, so you can safely follow their lead ! The truth is that all these metrics are completely flawed. Good doctors don't always charge more - they charge what they feel is the right amount. After all, most doctors didn't join medical college to become rich ! Good doctors order only those tests which are required. Often, the newer ( and more expensive) tests are worse, because they provide unreliable information which hasn't been shown to stand the test of time. Similarly, newer drugs have lots of unexpected side effects which we still haven't discovered, and sensible doctors don't use their patients as guinea pigs. The large crowd of patients waiting to see the doctor simply means that he has poor time management skills. If he can't manage his own time well, then how will you manage his patients' problems ? And celebrity patients aren't always good at selecting good doctors - they just want someone who will fawn over them and treat them as VIPs, while good doctors take pride in treating all their patients equally well ! Medical students learn a lot about the management of diseases by reading textbooks and by listening to their medical professor's lectures. They learn how to use flow charts and algorithms for managing a particular lesion, and this has a sound scientific basis which allows them to practise evidence-based medicine in a systematic fashion. For example, if they have to treat a patient who has a chocolate cyst ( endometrioma), they will plan their management based on medical variables such as the size of the cyst; the age of the woman; and whether she has any symptoms or not. However, there's one key ingredient which is missing in the medical flow charts published in the textbook, which I think is the most important question doctors should be asking. Sadly, they fail to do so because they're not taught to do this, This should be - What does the patient want? Doctors need to remember that we're not just treating diseases, lesions or X-ray images - we are treating human beings ! We need to factor in the patient's personal preferences and personal goals. We need to understand the context - and we need to respect the person who has the disease, so that we can treat it intelligently. This means that a chocolate cyst in a 25-year-old woman who wants to have a baby is going to be treated very differently from that same chocolate cyst in a 25-year-old woman who only wants pain relief. Unless doctors incorporate this routinely into our thinking patterns, we're not going to become good clinicians. We will fail at providing care which our patients are happy with, because we have ignored and disregarded their personal choices . The patient's inputs should come first, and it is based on these that we should decide which particular flow chart or algorithm to follow . We need to put our patients at the center of their management, and we need to change our textbooks and our practice to reflect this. What does the patient want? Medical students learn a lot about the management of diseases by reading textbooks and by listening to their medical professor's lectures. They learn how to use flow charts and algorithms for managing a particular lesion, and this has a sound scientific basis which allows them to practise evidence-based medicine in a systematic fashion. For example, if they have to treat a patient who has a chocolate cyst ( endometrioma), they will plan their management based on medical variables such as the size of the cyst; the age of the woman; and whether she has any symptoms or not. However, there's one key ingredient which is missing in the medical flow charts published in the textbook, which I think is the most important question doctors should be asking. Sadly, they fail to do so because they're not taught to do this, The single most important variable should be - What does the patient want? Doctors need to remember that we're not just treating diseases, lesions or X-ray images - we are treating human beings ! We need to factor in the patient's personal preferences and personal goals. We need to understand the context - and we need to respect the person who has the disease, so that we can treat it intelligently. This means that a chocolate cyst in a 25-year-old woman who wants to have a baby is going to be treated very differently from that same chocolate cyst in a 25-year-old woman who only wants pain relief. Unless doctors incorporate this routinely into our thinking patterns, we're not going to become good clinicians. We will fail at providing care which our patients are happy with, because we have ignored and disregarded their personal choices . The patient's inputs should come first, and it is based on these that we should decide which particular flow chart or algorithm to follow . We need to put our patients at the center of their management, and we need to change our textbooks and our practice to reflect this.